am doing my best to stay ahead of the game! released. It should be any day now! Yay! 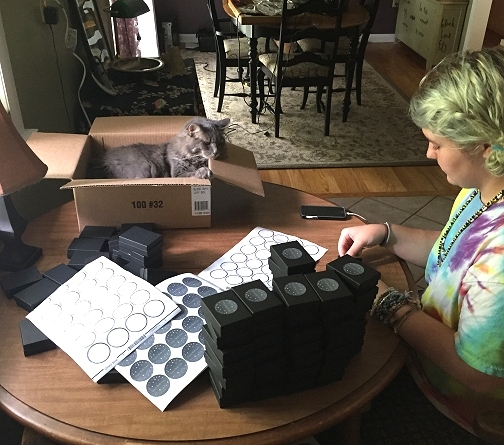 My daughter Erica puts labels on jewelry boxes while kitty Sara keeps a close eye on quality control. and also what it means to be a family and to help each other. Plus they love being a part of everything! I wish I could say they help me out, but I usually take care of my orders when they are in school. Glad your daughter is able to help you out.